The ultimate list of the best inexpensive makeup brush sets on the market that provide quality, bendability, and versatility. We have come up with the ultimate list of the best inexpensive makeup brush sets on the market that provide quality, bendability, and versatility. We can guarantee you'll fall in love with these sets, and they will become your go-to for your beauty routine. Plus, the best part is that you don't have to feel guilty about purchasing them. Real Techniques is known for their affordability, being the brand to produce the best beauty blender dupe for only $6. They're also known for their other makeup tools, their Flawless Base Set being one of the best inexpensive makeup brush sets on the market. This set includes a detailer brush, perfect for concealer or precision areas, a contour brush, for bronzer or highlight, a buffing brush, for a full coverage foundation or loose powder, a square foundation brush, for buildable coverage, and a brush cup to keep them all organized. Each brush is made of long-lasting, easy-to-clean bristles that are super soft and provide flawless results. Newly sold at Ulta, Morphe has forever been known for their top quality products that are extremely affordable. Now more accessible than ever, this 508 set is one of the best inexpensive makeup brush sets on the market. It comes with nine full-sized brushes for only $39. 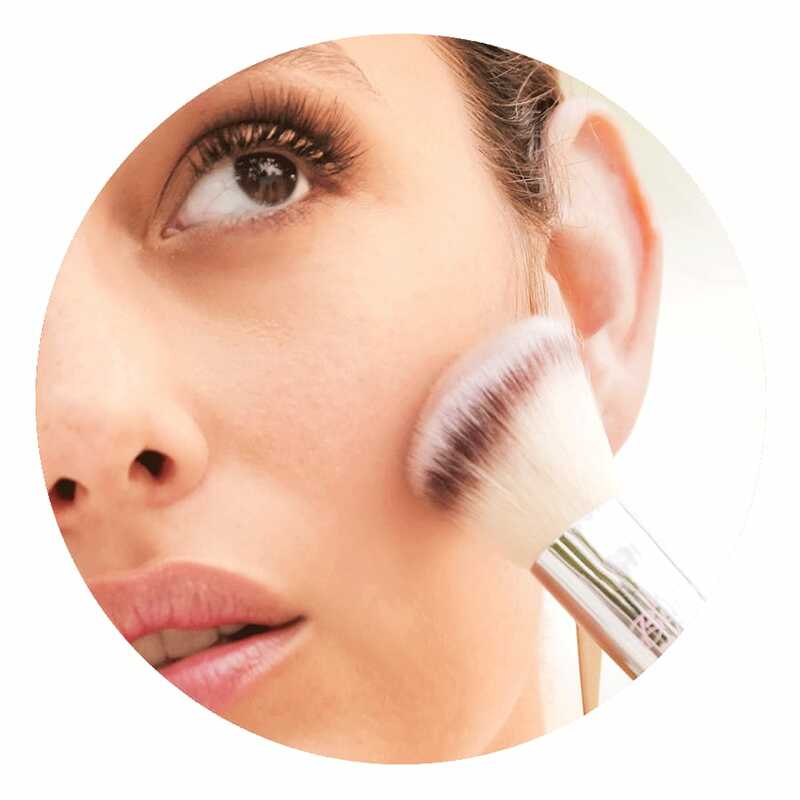 This includes a flat foundation brush, an angle blush brush, a flat bronzer brush, a chisel fluff brush, a soft fan brush, a tapered powder brush, a round crease brush, an angled liner brush, and a black brush case. Plus, they're vegan, soft, and deliver coverage to perfection. E.l.f is a powerhouse in the drugstore makeup department. As one of the best affordable brands in the beauty community, their brushes are some of the most trustworthy. This specific brush set comes with 11 different brushes, for both the face and the eyes. And it's only $30! The limited edition silver brush set includes an eyeshadow brush, blending brush, small angled brush, complexion brush, fan brush, small precision brush, crease brush, powder brush, blush brush, flawless concealer brush, eyebrow duo brush, plus a water-resistant case for travel. The case can even fit some extra products like your favorite eyebrow pencil and mascara. EcoTools might not be a household name, but it's one of the top brands for the best inexpensive makeup brush sets. With a variety of different options for brush sets, many of them are featured on Ulta's "Best Sellers" page. This specific set is geared toward providing a smooth complexion and complete look with little effort. The five brushes include a complexion blending brush, full concealer brush, angled blush brush, accent shadow brush, and a detailed lip brush. Each of these are geared toward perfecting a specific step in your beauty routine, from the base to the finishing touches of a lip liner, these five brushes have got you covered without the need of excess tools. Maybe a bit more on the expensive side compared to our previous options, this Japonesque set of three complexion brushes is perfect if you want to upgrade your base brushes. Believed to be some of the most important brushes to purchase, setting down a flawless base is crucial to any makeup look. That's why this set is perfect for upgrading to professional-grade brushes. Use for foundation, concealer, and powder, you won't use any other brushes to set your base products, for only $25. We can guarantee you'll fall in love with the brand if you haven't already. Get these five high-end brushes that would typically be sold as an $80 order for only $30 with this online-only option by Ulta Beauty. It Cosmetics is yet another brand that has acknowledged the unnecessary prices that most other makeup brands in Sephora hike their sets up to. As one of the best inexpensive makeup brush sets, this set includes a complexion brush with domed and ultra-soft bristles, a shadow brush with a rounded head for precision, a crease brush with a tapered head, a smudge brush for softening hard lines and blending out color, and finally, a flat angled brush, perfect for liner or brows. An 11 piece brush set for less than $25? BH Cosmetics is practically giving away their brushes, and they're still one of the top brands for quality makeup tools. With 11 new brushes, you'll be able to complete any makeup look with just BH tools. These soft synthetic brushes include three base brushes for foundation, powder, and concealer, and eight eye brushes for the ultimate eyeshadow look. Plus, they often have great sales on these sets, even with their already great prices. Check them out! Another brush set that is constantly featured on Ulta Beauty's "Best Sellers" is the The Best of the Brushes Collection by Lottie London. With four of their featured brushes in one convenient kit, you'll be able to blend any of your makeup essentials. As one of the best inexpensive makeup brush sets, this product includes two large face brushes and three intricate eyeshadow brushes. Plus, the angled brush can be used for both eyeliner, smudging eyeshadow, and eyebrows. While the large flat shader brush can be used for packing eyeshadow to the lid, or small concealing around the lips or under liner. Another great option from BH Cosmetics, we couldn't forget about their face-oriented option. As one of the best inexpensive makeup brush sets that is geared toward setting down an effortless, flawless base, this kit will be a go-to for any makeup lover. Not everyone needs to purchase a new set of 11 new brushes, and might just want to upgrade their most used options. That's what makes this set so great. Including a large powder brush, a duo fiber brush, contour brush, foundation brush, and concealer brush, this set has all the best tools for an immaculate face. To complete our list of the best inexpensive makeup brush sets, we couldn't forget about one of the best makeup brush sets you can get on Amazon. Though there are plenty of sets that are sold on Amazon, a lot of them lack quality. However, this set by BS-Mall is sold for less than $15 and has over 1,000 customer reviews that give it an almost perfect star rating. With this being said, the brushes are soft, synthetic, and shaped for perfecting any makeup look. With 14 different tools, you won't need to use any other brand to complete a look. We can guess you won't go back to the Sephora prices after this.